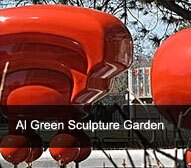 Philanthropist and builder Al Green enjoyed a successful second career as a sculptor, and Al's work is displayed on many of Greenrock's properties including the Al Green Sculpture Garden, located in Greenrock's Davisville Village. 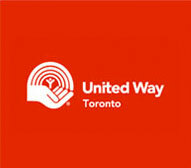 A recipient of the Order of Canada (philanthropy), Al became a celebrated patron of the arts. He founded a non-profit sculpture studio and school that provides sculptors the opportunity to develop their craft under the tutelage of professional artists. Al donated the proceeds of his sculpture sales to various charities. Al also founded The Al Green Gallery, located at 64 Merton Street in Davisville Village, that showcased work by national and international artists, as well as up and coming Toronto artists. The Greenrock owners have inherited Al's community spirit, and help organize many charitable initiatives. For many years, the Green family donated furnished suites used by families of out-of-town patients at The Hospital for Sick Children and have been recognized on the Hospital's "Hall of Honour" as a Grand Partner for their gift in kind. More recently, Greenrock has partnered with Sunnybrook Health Sciences, Mount Sinai Hospital, as well as Spinal Cord Injury Ontario, dedicating these furnished suites to families in need of a place to call home while undergoing lifesaving treatments. Imagine the stress of a loved one ill in the hospital for several weeks. Now imagine that health care facility miles and miles away from home. The Greenrock suites mean families do not have to commute or incur hotel costs to be with their loved ones. Commitment to community is also embraced by Greenrock Property Management Limited, and it hosts events ranging from summer barbeques to annual, building-wide food drives.